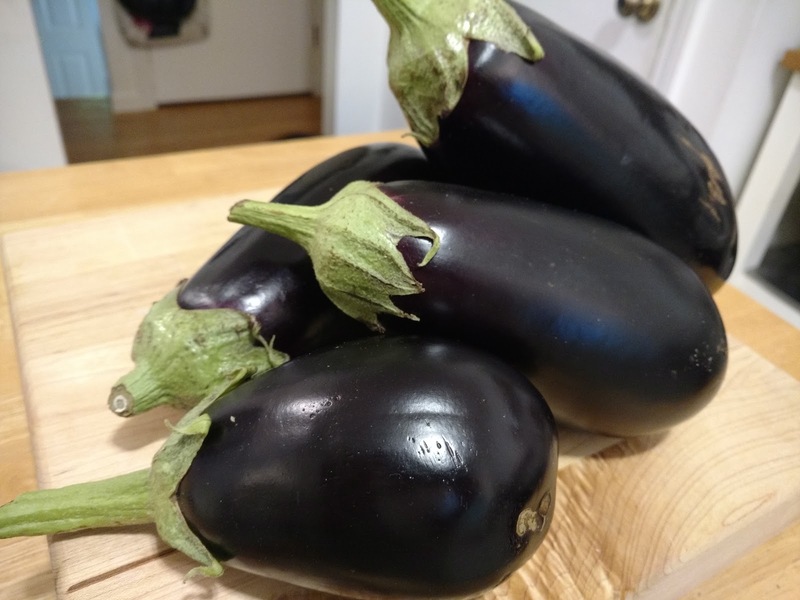 Thank you, Lenore, for dropping off these beautiful eggplants. I opened La Cucina The Regional Cooking of Italy to find an authentic Eggplant Parmigiana recipe. I found 2 recipes. One from the Campania and another from Puglia. 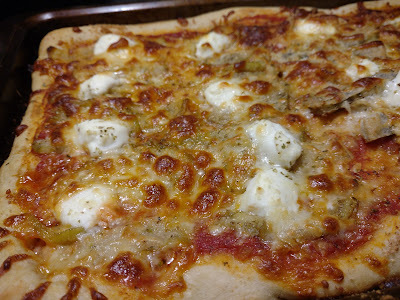 The difference in the two is the Campania recipe does not coat the sliced eggplant in flour and egg. I decided to try both so we could decide which we liked better. I put both on our pizza tonight. 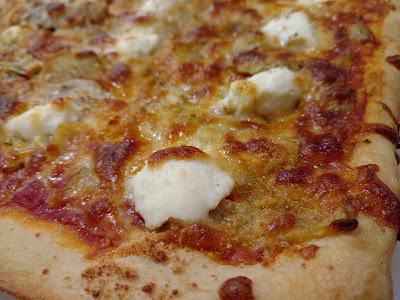 Along with the usual sauce, homemade Marinara, Mozzarella, Parmesan and a little Ricotta Cheese. Which side did we prefer? Trim the ends of the eggplants, peel them and slice them. Salt them and set them aside for half an hour to lose their bitter taste; rinse and pat dry. In a saucepan, heat 2 tbsp. olive oil. Add the onion and cook until translucent. Add the tomato puree, salt, and a few basil leaves, then cook down at very low heat until thickened. 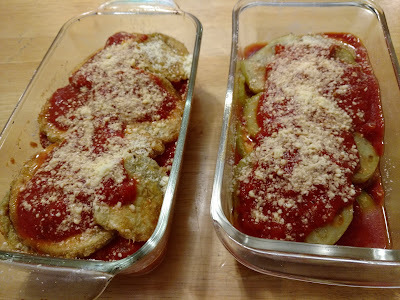 Meanwhile, heat the remaining olive oil in another pan, cook the eggplant slices a few at a time and drain well. Pour some tomato sauce into the baking and cover it with a layer of the fried eggplant slices along with some mozzarella, basil leaves, and Parmigiano-Reggiano. 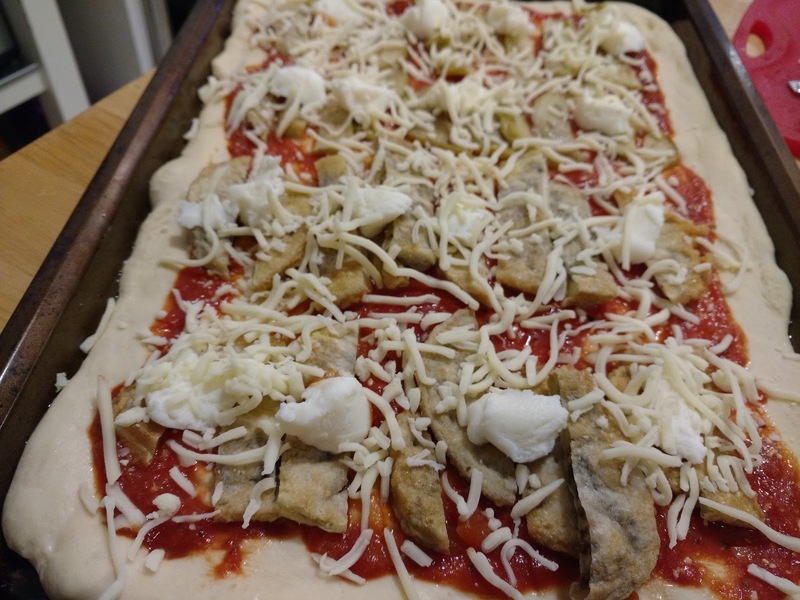 Cover with more sauce and make another layer of eggplant, mozzarella, and Parmigiano-Reggiano, ending with a layer of tomato sauce and Parmigiano-Reggiano. Bake until the surface is crisp. Serve at room temperature. Preheat the oven to 350˚. 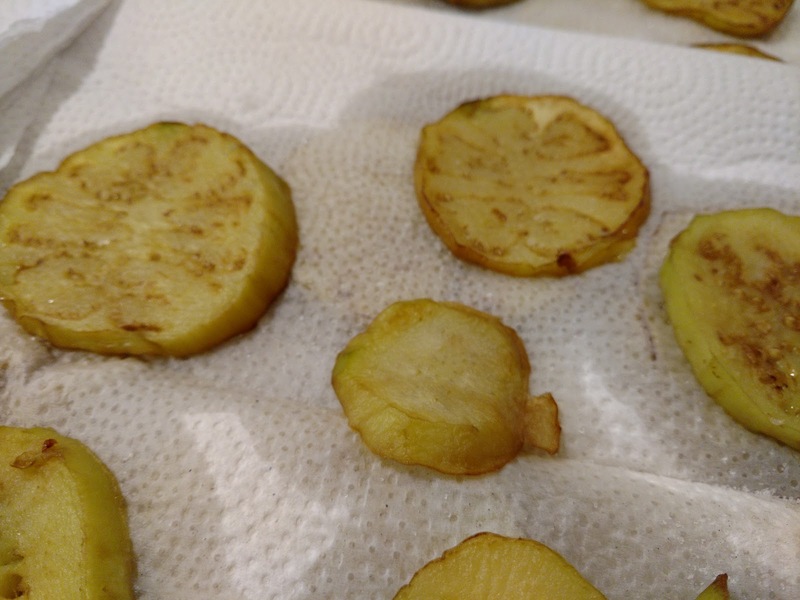 Peel the eggplants, cut them lengthwise in thin slices, then salt and drain for 20 minutes. Rinse and pat dry. Heat 1/2 inch of olive oil in a high-sided pan. 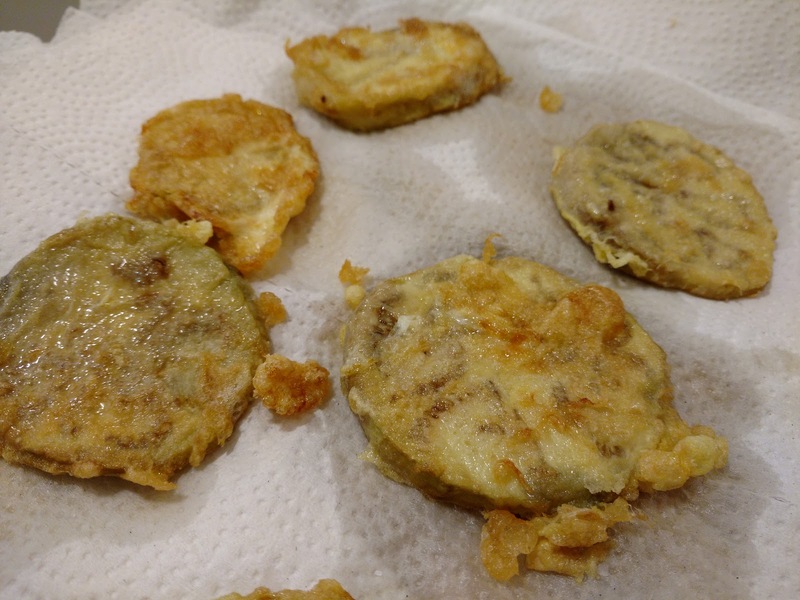 Dip the eggplant slices in flour and egg and fry until golden on both sides. Cover bottom of an ovenproof pan with tomato puree and cover this with a layer of fried eggplant. 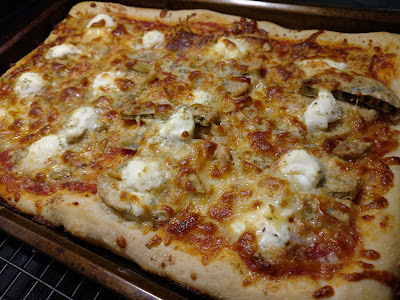 add mozzarella, more sauce and sprinkle with Parmigiano-Reggiano, then make another layer of eggplant. Continue the layers until all the ingredients are used up, ending with a layer of tomato puree and Parmigiano-Reggiano. Bake until the top is golden brown about 20 minutes.